I’m not sure if it’s nostalgia or tradition or the fact that the first 2 years of my life I ate green beans everyday fresh from my grandparents farm but I love me some green beans. 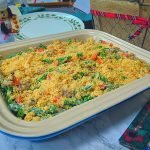 This casserole is a low carb twist on any traditional green bean casserole you are used to but I guarantee once you taste it you won’t be missing that unappealing can of mushroom soup. Now I’ll be the first to admit that I do love those crispy onions out of the can and I won’t judge if you feel the need to sprinkle a few on top but I will say that these Pork King Good Bread Crumbs do a great job as a crispy flavorful topping. 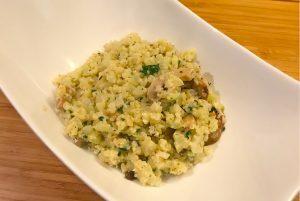 My brother is not a fan of the fungus so I didn’t use any in this recipe but you could definitely add a cup of sliced mushrooms to the recipe if you feel so inclined. The sausage I used was from our local butcher but any loose sausage you like will do just fine. Red bell peppers along with the scallions add those bright Christmas colors to the dish making this a perfect keto side dish for your healthy holiday gathering. 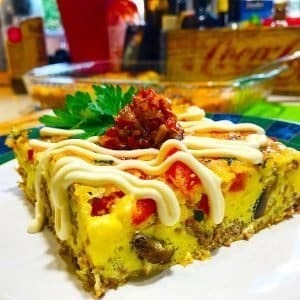 Because there’s a good amount of sausage in the recipe I’ve found that it’s great for meal prep alongside a few crispy chicken thighs or maybe a pork chop. 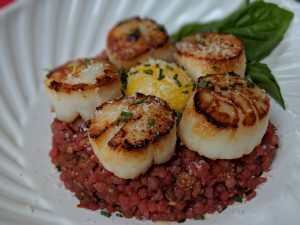 I hope you enjoy this gluten free recipe that’s sure to please everyone at the table. Blanch green beans In salted water for 3-5 minutes until cooked but still have a little snap left in them. Chill under cold water, drain and place in a casserole dish. Set aside while cooking the sauce. 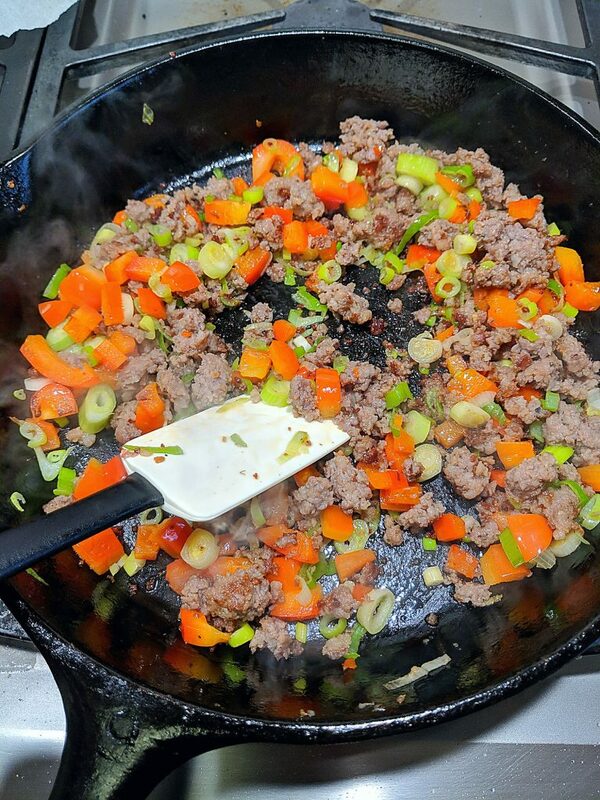 Brown off sausage in a skillet, once sausage is almost fully cooked add your seasoning, bell pepper and scallions, sauté for a few minutes until peppers have softened. Add cubes cream cheese and mix into the sausage until it begins to melt, then add heavy cream. Once mixture has thickened stir in Parmesan cheese and remove from heat. 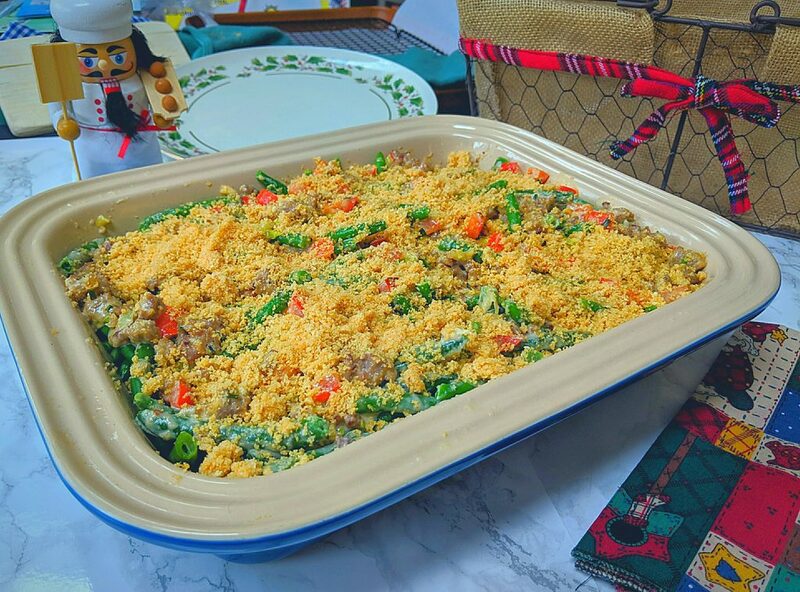 Pour mixture evenly over the green beans in the casserole dish. Spread mixture around so that all green beans are coated. Sprinkle Pork King Good Bread Crumbs over the top along with additional Parmesan and back for 25-30 minutes at 350 degrees F.